I'm new to JotForm and I am very excited that I can work with fillable PDF forms. I live and work in Switzerland and we use languages (german, french and italian) with a lot of "Umlaute" (e.g. ä,ö,ü, é, à). If there is a word or a name in a textfield, that contains an Umlaut and I use a PDF form, the Notification Email is empty. If I use this field in an Autoresponder Email the Umlaut isn't displayed correctly (M�ller instead of Müller). 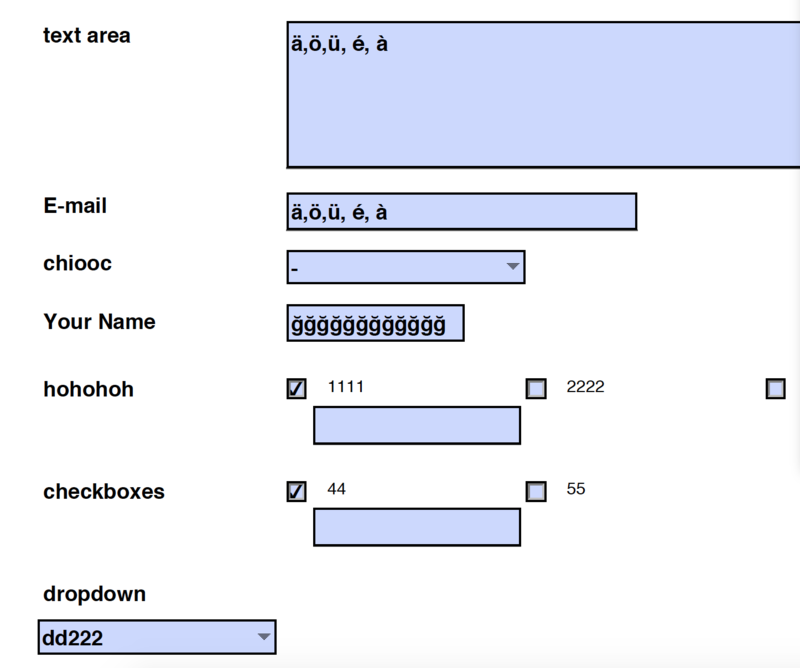 If I use an HTML-Form everything works fine. As I have to start a survey in three languages soon, I would be happy if you could fix that. I was able to reproduce the issue with the umlaut letters which affect email alerts when submitted through fillable PDF. A bug report ticket has been attached to this thread and escalated to our Development Team. What a nice surprise to get an answer so quick to my question. I hope you can soon find a solution to this problem. I deleted the link to the PDF form in my last post, because this form is just for testing purpose and it will be deleted from my server sooner or later. unfortunately you didn't get the problem right. The problem is not with the formfield name but with the input. 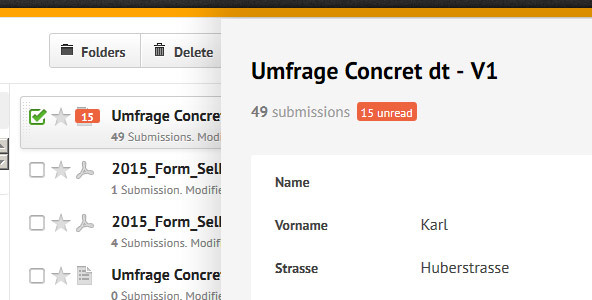 I use the following form to put my input to my form "Umfrage Concret dt - V1". I think the problem has something to do with the caracter encoding of the different medias (e.g. mail, utf-8 etc.) and I hope you can fix this problem soon. Alright, thanks for the clarification. I am working on that. The problem still exists. When will it be fixed. Our survey will start next week. yesterday I found out that the umlaut letter problem is more dangerous than I thought at first sight. I really hope that you can fix it soon. If I want to change or edit a submission entry (Edit Button), all the fields which contains umlaut letter aren't loaded in the input form. When I press the Send-Button, all these fields are overwritten by empty space. As my form contains about 40 textfields and as we use many umlaut letters, half of the fields will be deleted if I need to edit just one input in one field. To help you find a solution, I made a form with just a couple of fields: "Umlaut Letter Problem Test"
And here's the PDF-form I made with "Create PDF-Form". All these components are JotForm made. Thank you for providing additional information. 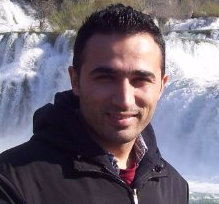 I will update the ticket so that Mustafa will consider this new information. As soon as we have more details we'll let you know. Great news i made it! Tested it with some forms and could obtain umlaut values successfully in emails and inbox. You need re-create your PDF form, let me know if you face any problem. 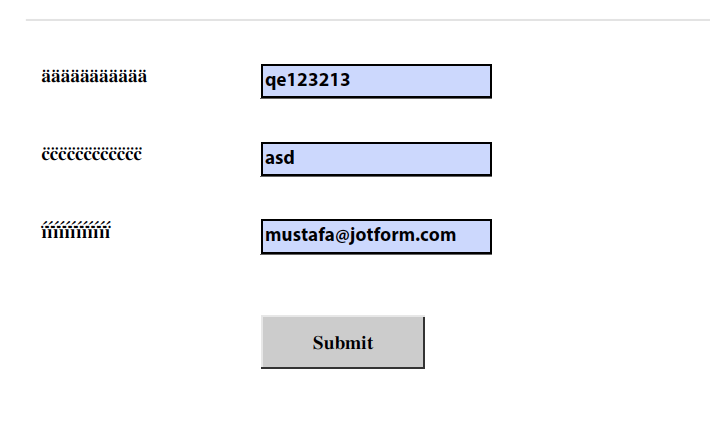 As I use my own hand-made PDF forms (www.jotform.com/answers/535917), I should know the difference between the old (not-working) and the new (working) PDF forms. I really wonder why it works now. What have you or another developer changed? Is there a special pdf-setting or a new hidden field? Please don't hesitate to provide me with technical information: I'm not a PDF, HTML or PHP novice.I really should be able to adapt my own forms. We are using TCPDF (http://www.tcpdf.org/) to create PDF forms and so far submitting forms as described in docs. However even if i set font and/or character encoding it simply cannot send non-unicode chars, (and nothing in google) incoming submission only include weird characters. I tried to change many config but nothing worked. I hope it helps you a bit, thanks for asking. You saved my day. Thanks to your last post I could copy your JS-Code out of the generated PDF form to my own PDF forms, adapted them a litte bit and IT WORKS! All I can say: PROBLEM SOLVED!! var $FormID = 999999999; // Put your own Form-ID! I have combobox but I did't get any errors.When do you get these errors? Do you use "valueAsString" as the normal encoding except with combobox or do I misunderstand your code? if(f.type !== "combobox") == > if not type combox. 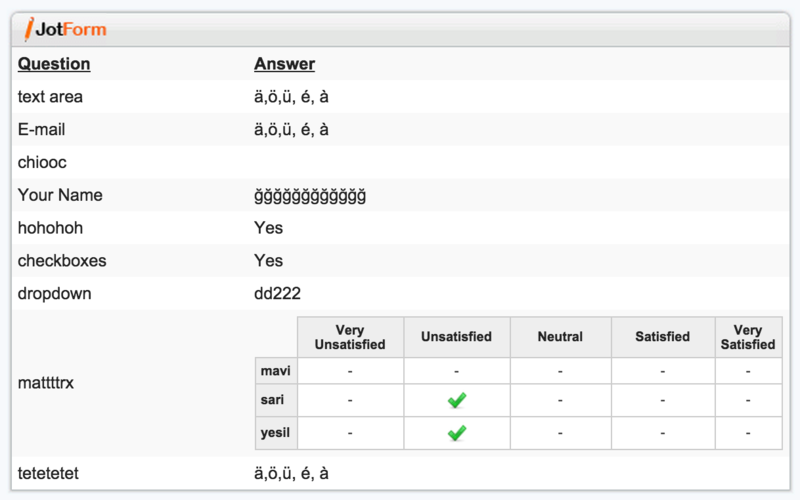 Thanks for anwerting this hopefully last question.